Give your friends and family a special gift, a night out with DiSalvo’s Gift Cards. With the convenience of a DiSalvo’s Gift Card purchasing and more importantly redeeming are hassle free. 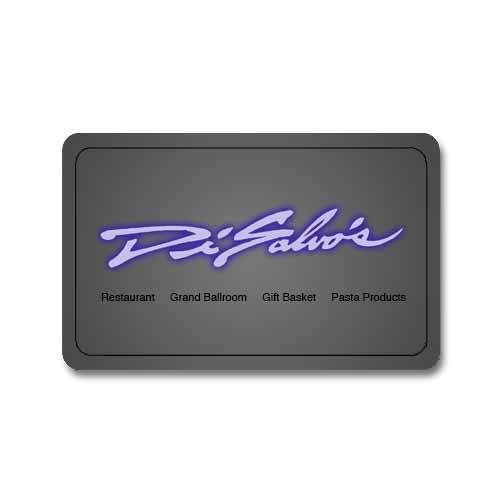 Gift cards are good for purchases of Gift Baskets, Pasta Products, or DiSalvo’s fine cuisine. So let us help you with your gift giving.